Mount Athos is the third, eastern and more magical peninsula of Chalkidiki, which totally belongs to the church community. It is the only place in Greece that is completely devoted to the worship and prayer of God. That’s why it is called in Greek Holy Mountain (Agio Oros). 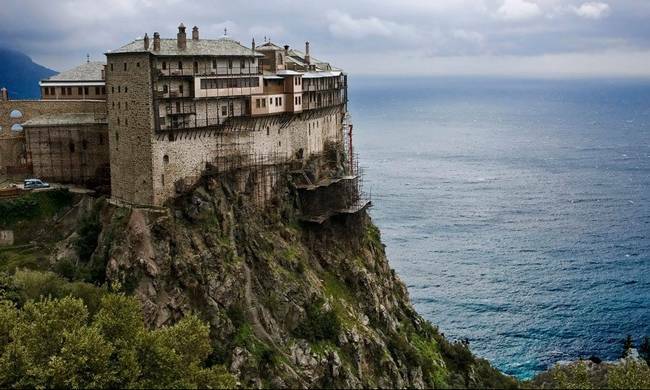 Mount Athos is home to 20 monasteries. The natural location of the peninsula is admirable. The Athonite monasteries feature a rich collection of well-preserved artifacts, rare books, ancient documents, and artworks of immense historical value, and Mount Athos has been listed as a World Heritage Site since 1988. The traditional sailing boat Saint George (Agios Georgios) leaves from Ormos Panagias port every Monday and Thursday at 9:30 in the morning. 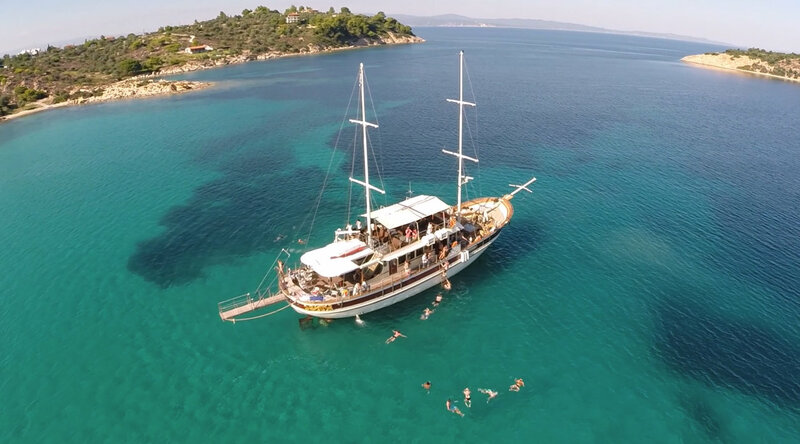 The trip begins by sailing from the coasts of Sithonia towards the south of the Athos peninsula . The first monastery that we will meet is the monastery of Saint Paul. 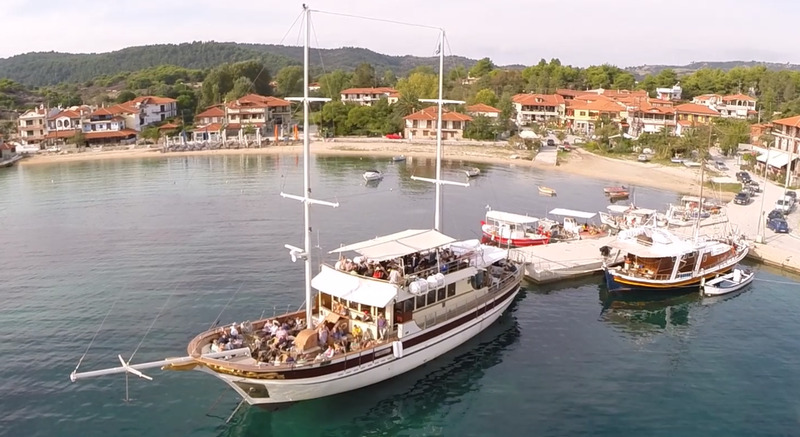 Then we will continue sailing north, along the western coasts, admiring 4 more monasteries of significant and extraordinary beauty, till we reach the monastery borders, that separate Mount Athos from the outside world. 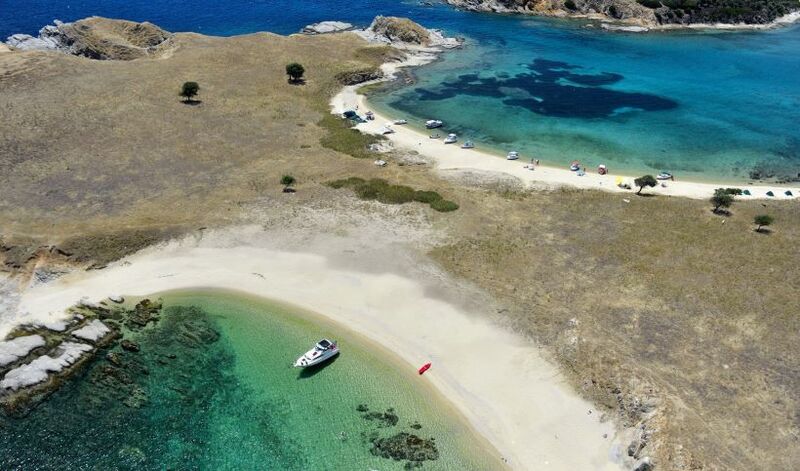 Next stop will be the island Ammouliani with its amazing natural beauty and its remarkable beach, where we will be able to relax taking a break of two hours, enjoying the sun and taking our lunch in the calming organized beach of the beach bar Island. 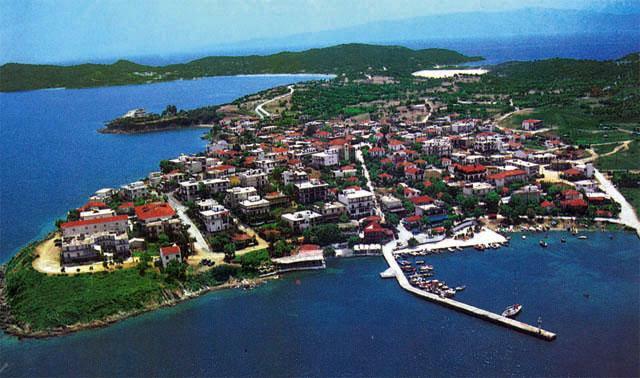 Final but not least, we will take the boat and leave for Ormos Panagias port which is our final destination. Our way back will be accompanied with live mpouzouki and greek dances. Our arrival time at the port of Ormos Panagias is estimated at 17:30.